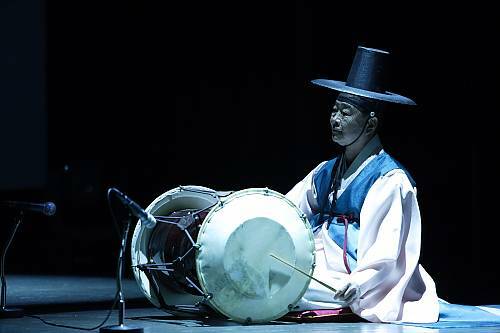 Pansori is a genre of musical storytelling performed by a vocalist and a drummer.This popular tradition, characterized by expressive singing, stylized speech, a repertory of narratives and gesture, embraces both elite and folk culture. 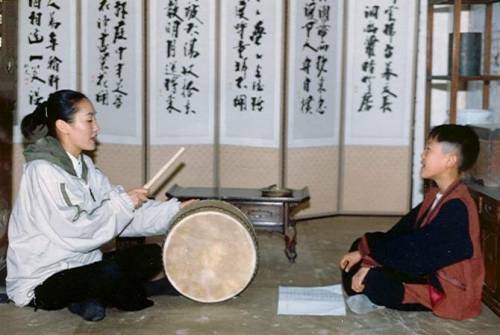 During performances lasting up to eight hours, a male or female singer, accompanied by a single barrel drum, improvises on texts that combine rural and erudite literary expressions. 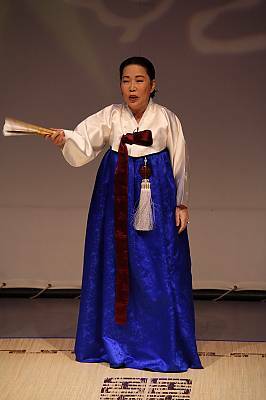 The term Pansori is derived from the Korean words pan, meaning “a place where many people gather”, and sori meaning “song”. 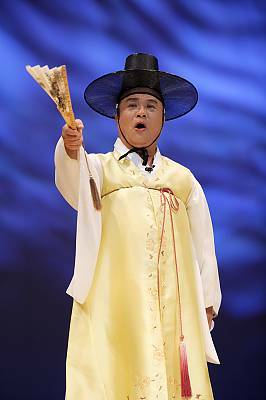 Pansori originated in south-west Korea in the seventeenth century, probably as a new expression of the narrative songs of shamans. 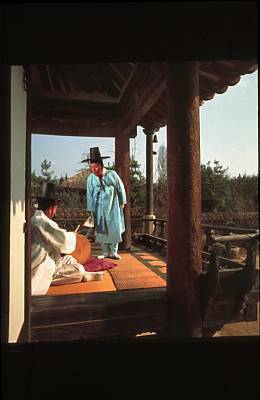 It remained an oral tradition among the common people until the late nineteenth century, by which time it acquired more sophisticated literary content and enjoyed considerable popularity among the urban elite. 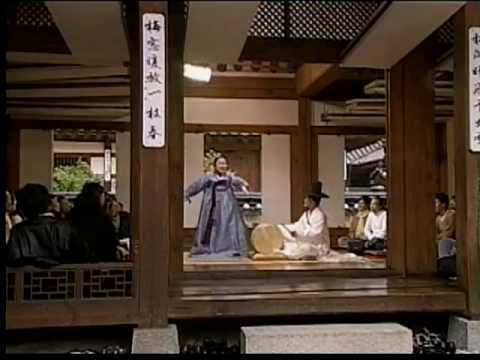 The settings, characters and situations that make up the Pansori universe are rooted in the Korea of the Joseon period (1392-1910). 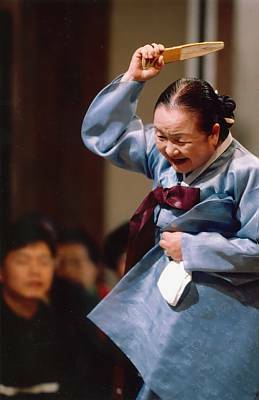 Pansori singers undergo long and rigorous training to master the wide range of distinct vocal timbres and to memorize the complex repertories. 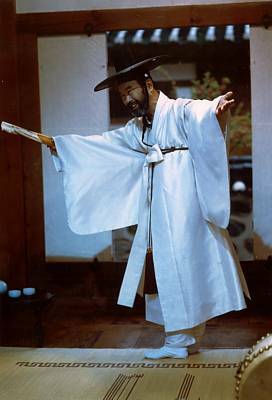 Many virtuosos have developed personal interpretive styles and are renowned for their particular manner of performing specific episodes. 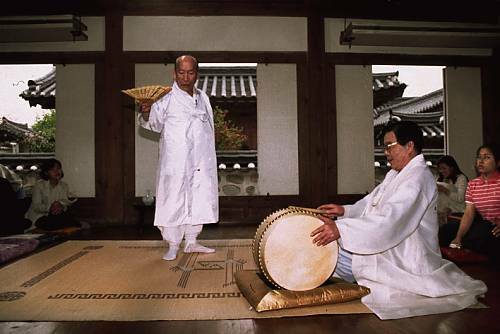 Threatened by Korea’s rapid modernization, Pansori was designated a National Intangible Cultural Property in 1964. 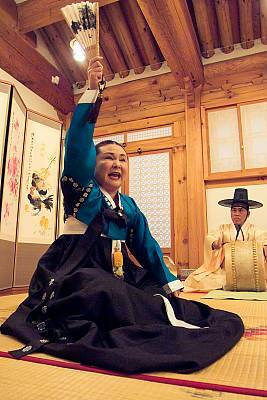 This measure spurred generous institutional support, which in turn fostered the revival of this tradition. 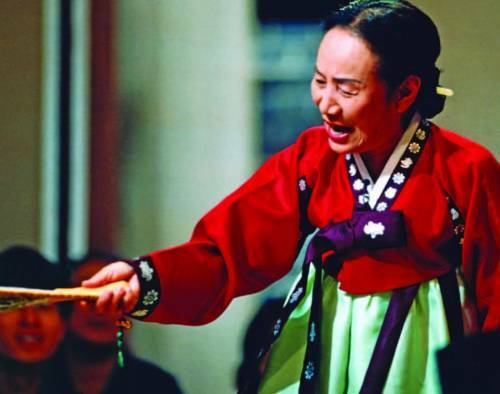 Although Pansori remains one of the most prominent genres among traditional stage arts, it has lost much of its original spontaneous character. Ironically, this recent evolution is a direct result of the preservation process itself, for improvisation is tending to be stifled by the increasing number of written texts. 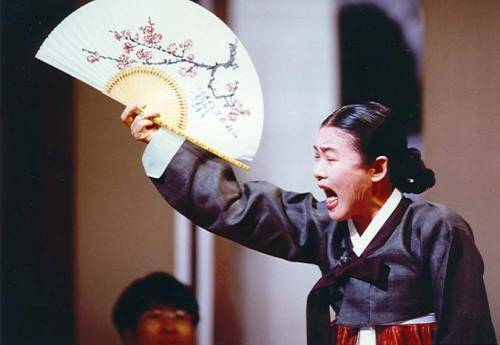 Indeed, few singers nowadays can successfully improvise, and contemporary audiences are less receptive to the impromptu creativity and language of traditional Pansori. 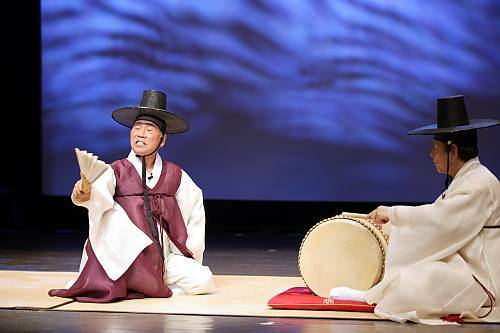 A genre of musical storytelling performed by a vocalist and a drummer, the Pansori is characterized by its expressive singing, stylized speech, repertory of narratives and distinct gestures. 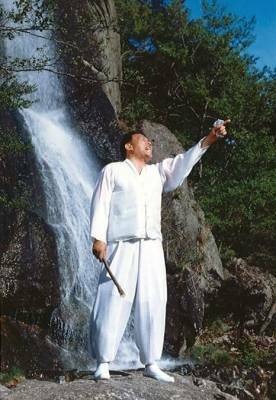 With revived interest in recent decades, performances increase but are less likely to include the extensive improvisation typical of the epic.